Flower Of Lizzy is out of the last foal crop sired by the well-known Caduceus Denver. 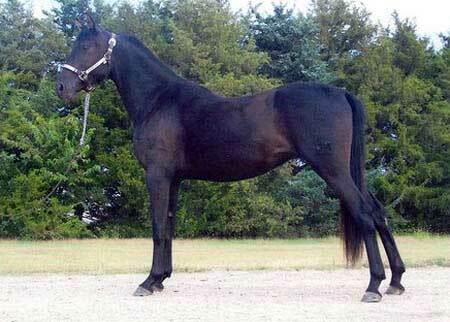 This leggy, black mare, with a small star, is chock full of Caduceus-bred ancestry. The Caduceus prefix was the late Dr. Lowell Hughes mark on the Morgan world. The Caduceus lineage concentrated on the Flyhawk influence. Lizzy definitely possess the Flyhawk trot and is quite an asset to our breeding program.